Today's Giveaway, Skullcandy Crusher Headphones, Dakine/ COC Collab Pipe Gloves and a RPZN COC Hoody. 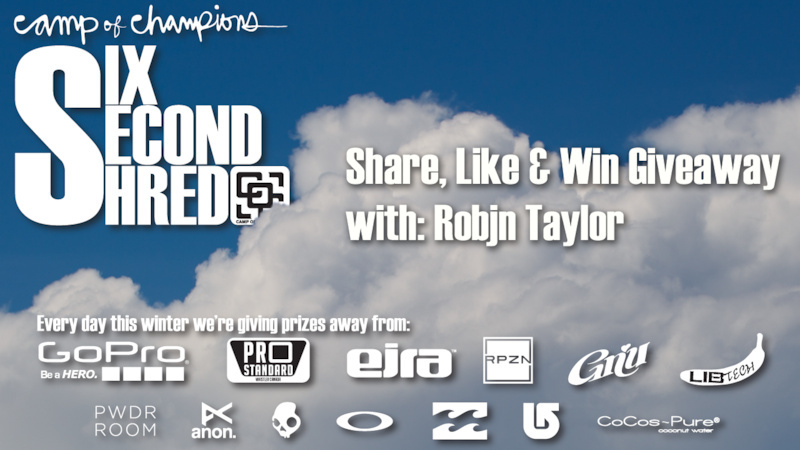 Share the featured Six Second Shred of Robjn Taylor. Yeah, we know it's snowboarding on a bike site, but free stuff doesn't care what you ride and neither do we.. Subscribe to our newsletter if you want a chance to win 4FRNT Skis, a Lib Tech or GNU Snowboard and other cool prizes. We're giving stuff away all winter to people on our list. If you want to have more fun this summer with the best pros as your coaches, hit up CampofChampions.com and change your life.